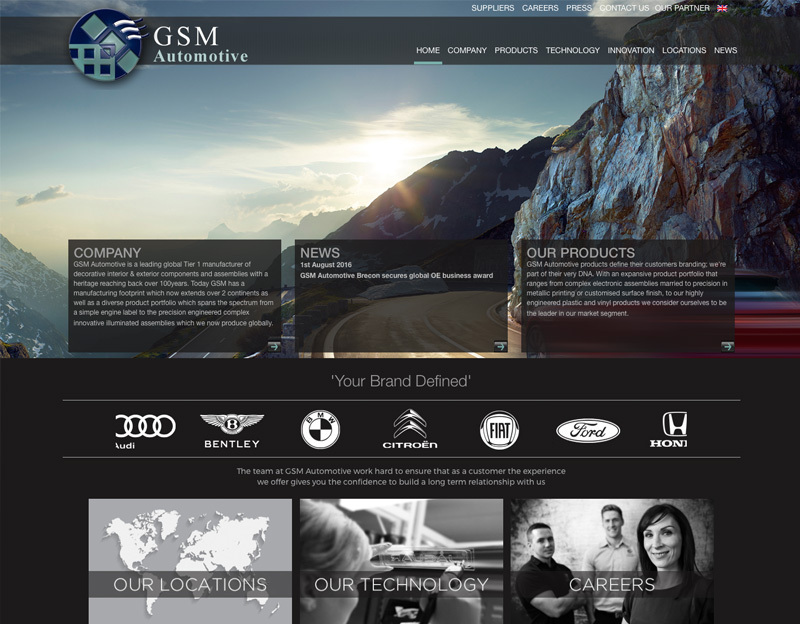 Rebrand and build of an existing tired old website for global company GSM Automotive. The site is built in WordPress and has features such as press, intranet and multi-lingual function where we have translated the site in to Spanish, German, French and Chinese. The site is mobile friendly and we work with GSM on continued updates to the site. GSM Automotive are a leading global Tier 1 manufacturer of decorative interior & exterior components and assemblies with a heritage reaching back over 100 years. Working with GSM on the design of their website was a nice project and the look and feel has been rolled out in other areas such as literature that they give out, power point presentations and in house graphics. I work with them continually on updates and improvements on the website.